Guns and Roses was a constant presence in my yellow Sony Walkman, and later my Jeep Wrangler’s aftermarket CD player. The band’s leader, Axl Rose, was famous (or perhaps infamous) for a great many attributes; but organizational guru sharing advice, he was generally not. But, as I attempt to transition a company from start-up to a scale up, his words, not Welch’s or Buffet’s or Collins’, ring most loudly in my ears. My personal experiences, captured in four GnR classics, highlight the self-realization needed initiate the scale-up process, the need to focus on fundamentals, the emotional persistence required and the need to take a longer view of what is a difficult and elusive journey. We were headed to the top of the charts with a bullet. Scrappiness, inventive genius and a clear product vision set the company apart in the highly competitive pre-paid wireless space. Nearly three years after its inception, the five founders led a revenue juggernaut that was a success by nearly any measure. Growth was staggering, vendor relationships were strong, the company was technically advanced and the office environment was a fun, infectious, entrepreneurial space featuring daily lunches and dogs at your desk. It was indeed Paradise City. Diffused power, federated decision making, hiring specialists and focusing on the basics are hallmarks of the most scalable organizations. Yet the entrepreneur’s tune – visionary, headstrong, controlling, exacting, heroic – often runs counter to the harmony needed to achieve scale. So perhaps the most subtle, yet substantive, first step in scaling an organization, is actually having leaders with the vision and the will, to want to replace themselves! Even though the band was rocking, the founding members realized at some point they were going to need to a new lead singer. Having worked with generally larger organizations, I was initially not prepared for just how differently a true start up operated. Peering through the canopy of hyper-growth, I quickly found myself in a jungle encircled by forces hellbent on stopping our path towards scale. Stiff external competition and costs in need of taming conspired with a lack of structure, a dearth of disciplined decision making and a “culture of work” dominated by a few heroes frequently called upon to save the day. We went to work playing the power chords of the scale-up phase – people, financial fundamentals, culture, and process. Initially, small changes yielded big results. We restructured our HR department and brought in a PEO that enabled us to grow quickly and ensured access to high quality/low cost benefits. We revamped our hiring process, eliminating several high cost search agencies, and invested internally to create a recruiting center of excellence. We rolled out org charts and reviews, focusing on the personnel fundamentals: sourcing, hiring, onboarding… and yes, firing. We then went to work molding an already strong corporate culture into a single team. I dedicated a significant portion of my first year to hiring a new “specialist” class of senior leaders. I targeted candidates with a shared vision of our scalable future, a demonstrated love for teams and a personal chemistry I knew would be invaluable as we probed the depths of the jungle. I wanted people who had been on stage playing with larger organizations and had experienced the power of scale. We also instituted the company’s first “bottom-up” budgeting process; defining key business metrics, and putting real responsibility into the hands of department leaders. It was critical not only that we had the right people, but that we also empower them. The budgeting process brought leaders “into the tent” and allowed them to be accountable for their decisions and performance. It was also the beginning of the end of the hero culture as we created an environment where the collective genius of the organization eventually outweighed the singular genius of any one individual. We began taking on larger, more complex projects as an organization. Our songs become more elaborate and if someone broke a string, well we now had roadies backing us up so we would not miss a beat. But old habits, like rock and roll guitarists past their prime, die hard. Criticisms about a perceived lack of organizational speed and an over-reliance on structure and process bubbled up. A crescendo of discontent was rising between the original band members (with their style of music) and the new band members who came in singing a slightly different tune. Even the support I received from the founders was starting to go off key as they saw the company they founded changing right before their eyes. “It’s as if I am seeing my child all grown up, and there are parts of his personality that I really don’t like,” one partner confided in me. It was at that time that I could feel some regret creeping in. Wouldn’t it be easier just to go back to the “old way” of doing things? After all, wasn’t that working pretty well? 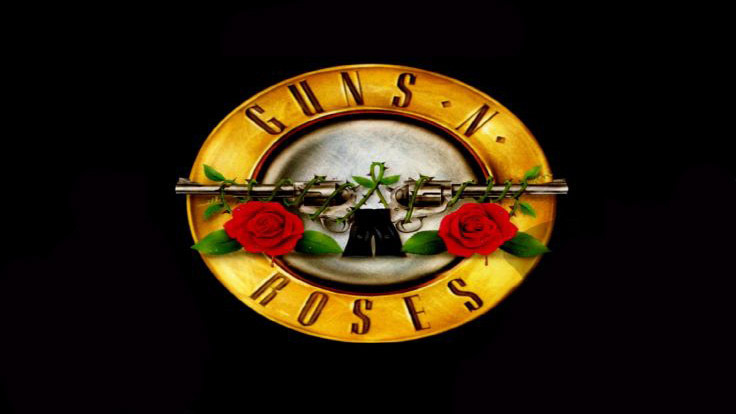 The pull of Paradise City is very strong, and November Rain can be very cold. It was in those darkest hours that I realized the process of scaling up is not just mechanical, it is deeply emotional. SOP’s and locking down your product catalog will only get you part of the way. Scaling-up is about change management. We engaged in hours of conversations about process and management philosophy and worked our way through bruised egos and frustration. It was more than late hours and weekends talking about product launches and price points, it was about fundamental beliefs and building trust. If you think going from start-up to scale up is all spotlights, pyrotechnics and adoring fans – you are wrong. It’s a tour that can be filled with great joy; but be prepared to hurt, and to be hurt, along the way. While it would be so rock n’ roll to say this was all strategic vision, or decisiveness or work ethic alone that have been most responsible for this on-going transition, ultimately I have found another quality to be the single most critical success factor. A successful scale-up harmonizes the mechanical, strategic, financial and emotional factors with the calming melody of… patience. Patience, the quality so thankfully absent from so many entrepreneurs, is in the end so very critical for leaders embarking upon this scale-up journey. It’s so tempting to continue to react the way a start-up would. In the start-up world the wins are dramatic, the losses tragic. In the scale-up phase victories take longer to materialize and may be even tougher to recognize. Similarly, it’s important to know that the bumps in the road aren’t all going to crash the tour bus – you just hope that every week there are fewer and fewer out there. Installing hiring processes, grinding through budgets, facilitating management training, and yes, saying “no” to projects don’t get you on the cover of Rolling Stone. But they do help get you to scale. So, slow down the entrepreneurial beat, bring in proven musicians, move power from the hands of a few soloists to the full band and be prepared for some wrong notes. If you can take the time and invest your experience and emotion over months and years, you just may get your company from playing in your garage to a full blown, hard rock stadium tour.